Connecticut is home to five schools that offer on campus master's in communications programs across the state. Students can choose from several professional concentrations including public relations, organizational communication, media studies, health communication, film and television production and sports communication. Following graduation, experts in communication are well equipped to begin their careers in one of Connecticut's primary industries such as finance, insurance services, manufacturing and real estate. With its close proximity to New York City, many graduates may choose to seek employment in the nation's media capital in journalism, media production or public relations and corporate communication. Read on for more details about master's in communications programs available in Connecticut. Central Connecticut University in New Britain offers students an on campus Master of Science in Communication program. What to Know: The Master of Science in Strategic Communication program allows students to choose from two tracks once they complete their core course, including Public Relations and Organizational Communication. To complete the program, students must complete a thesis, special project or comprehensive exam. What Does It Cost? 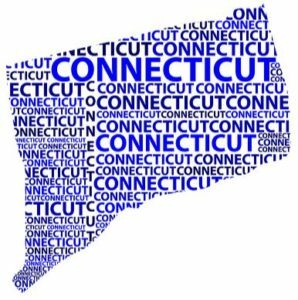 : Full-time graduate tuition for Connecticut residents is $5,696 and $11,984 for non-residents. Anything Else? : The application deadline for admission to the fall semester is June 1 and November 1 for the spring semester. Fairfield University in Fairfield offers a Master of Arts in Communication program in a traditional on campus format. What to Know: The Master of Arts in Communication program focuses on theory, research, practice and application of communication principles. Students work individually with an advisor to tailor their coursework to their specific career goals. Possible paths that students may follow include organizational communication, health communication, media studies, non-profit communication, educational communication and preparation for Ph.D.-level studies. What Does It Cost? : Tuition for this program is $725 per credit hour. Anything Else? : Fairfield University accepts students to its Master of Arts in Communication program on a rolling basis. Sacred Heart University offers four Master of Arts in Communication programs on their campus in Fairfield. What to Know: Sacred Heart University's School of Communication & Media Arts offers four M.A. in Communication programs: Master's in Broadcast Journalism & Media Production, Master's in Strategic Communication & Public Relations, Master's in Film & Television and Master's in Sports Communication. What Does It Cost? : Tuition for each program varies, so applicants should check on the latest tuition and fees with the Office of Financial Aid. Anything Else? : All four of the 36-credit professional graduate programs operate on an eight-week module calendar, so full-time students can complete a graduate program in as little as one year and part-time students can complete their degree in two years. The University of Connecticut in Storrs offers a 33-credit Master of Arts in Communication program in an on campus format. What to Know: The Master of Arts in Communication program allows students to choose from three tracks: Communication Theory, Marketing Communication or Organizational Communication. What Does It Cost? : Graduate level tuition is $806 per credit hour for Connecticut residents, and $1,379 per credit hour for non-residents. Anything Else? : The Communication Department accepts graduate program applications on a rolling basis. However, December 1 is the deadline to receive priority consideration regarding admission for the following fall. Applications for the following spring must be received by November 1. The University of Hartford offers an on campus Master of Arts in Communication program. What to Know: The Master of Arts in Communication program prepares students for further graduate study and also employment in government, non-profit organizations, businesses and educational institutions. The program allows students to choose from three areas of concentration: Media, Human Communication Studies and Integrated Communication. What Does It Cost? : Graduate level tuition is $605 per credit hour. Anything Else? : The application deadline for the fall term is April 15, and November 15 for the spring semester.